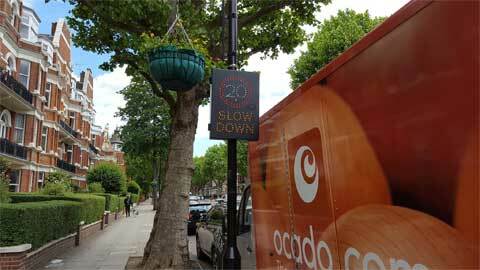 Westminster is introducing 20mph speed limits at up to 40 schools and in two residential areas over the next year. This trial is part of the council's drive to create a safer, healthier and more pleasant environment. The aim is to increase walking and cycling, and to make more vulnerable road users like cyclists, older people and schoolchildren, feel safer. The 20mph limits are being implemented in areas highlighted by a road safety review and as a result of residents’ requests for speed restrictions. To evaluate the 20mph limit, the council will be gathering data about the speed and volume of traffic, using standard tubes laid across the road, as well as Vehicle Activated Signs (VAS). The signs remind drivers and riders to adhere to the speed limit. If motorists are going too fast, they can be set to flash at either 20 or 30mph. The council will seek the views of local schools, businesses and residents views before, during and after the 20mph trials. This will help them to understand their impact and inform the next step. If you have any questions about the trials, please email roadsafety@westminster.gov.uk.